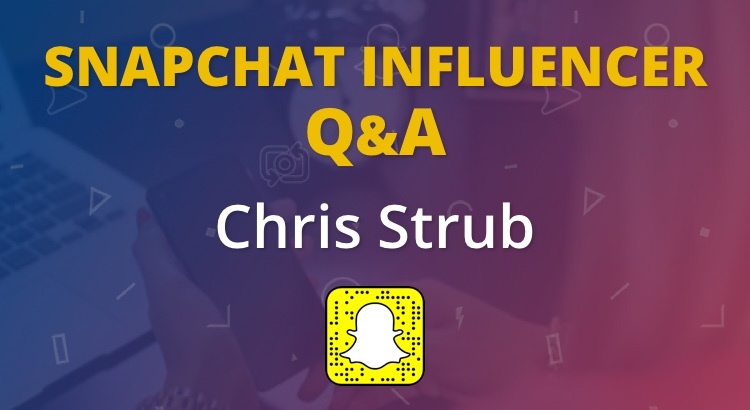 Today we are talking to Chris Strub. Chris is the founder of I Am Here, which is a social media agency that aims to help non-profits. Chris visited all 50 states to live-stream and Snapchat while he helped non-profits with their social media marketing. In the interview, Chris talks about his trip, how businesses and non-profits can utilize Snapchat, the main problem they have and how to overcome it. Hi Chris, great to meet you. Thanks for taking the time to share your knowledge with us. Could you tell us a bit about yourself and what you do? Hey Jason, thanks for inviting me to take part! I’m a 31-year-old native New Yorker with a few fun passions. These are traveling; social media; and social good. After earning my degree at Binghamton University, I spent six years designing newspapers. The dramatic shift in the industry in the late 2000’s inspired me to focus on developing a distinctive personal brand. I did this through various social platforms. In 2014 and 2015, I took a pair of lengthy cross-country road trips. I became the first man to live-stream and Snapchat in all 50 U.S. states. I recently wrapped a 7-month contract as a social media consultant with Humana in Louisville, Kentucky. Then I launched I Am Here, LLC. It is a social media consultancy focused on visiting nonprofits around the country. I’m currently driving across the Southeast U.S. in my trusty #HondaHotel. Could you tell us about your 50 states in 100 days trip? Sure can! In the summer of 2015, I left my job as General Manager of a Sbarro in South Carolina. The plan was to visit youth-related organizations in all 50 U.S. states. The trip began May 15 from Greenville, with the first stop in Charleston. I continued clockwise around the country before wrapping up with visits to six different organizations in Asheville, N.C., on Aug. 21. At each stop, I would conduct two interviews. One was an innovative Snapchat Q&A. The second was an extended, GoPro-filmed sit-down, posted to YouTube. The trip got covered by more than 35 news outlets around the United States. These included FOX 5 NY, Newsday, ABC 6 Philadelphia, The Lansing Journal, The Montgomery Advertiser, The Peoria Journal Star, the Lowell Sun and many more. I imagined, planned and executed the trip without a corporate sponsor. What are the main problems you find that businesses and non-profits are having in relation to Snapchat? I’ve worked with nonprofits, but the biggest obstacles for NPOs and for-profits alike is time. Any worthwhile social media consultant needs to be able to listen and understand the variety of responsibilities a staff is juggling. They need to be able to recognize whether Snapchat would be a valuable use of an organization/staff member’s time. If a company understands its goals and audience, Snapchat can be an effective tool, but it is not a magic wand. Nor is it a necessity for every brand. I talked about this point in this great interview below with Ross Brand back in November. What do you Snap about most on your personal account? My personal content strategy has varied a ton over the last year. 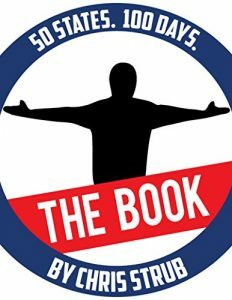 Last spring, I executed 50 “Snap Swaps.” That is, traded my Snapchat account with a friend from around the world – in 50 days. I do Ask Me Anything sessions, and try to be as collaborative as possible. I’m not afraid to let others also bring value to my audience. I particularly love highlighting nonprofits that I get a chance to work with in various cities. This week, I’m breaking in my new Spectacles while traveling across the country. Snapchat has defined my personal brand, which I always strive to keep as authentic as possible. I try my best to keep my Snaps positive, and I’ve had many people tell me they often look to me for that positivity. The best social media approaches give the truest look at what makes an individual/organization tick. I’ve been very fortunate, particularly in the last year, and I hope my Snaps reflect that attitude. I’m optimistic about the future, because more and more brands are starting to realize what social media is for. That is conversation between friends. Brands that don’t insist on leading the conversation, but rather feel comfortable being a valuable entity within existing conversations, will see growing dividends. What advice would you give to someone who is starting to grow their Snapchat audience? Be yourself. When you meet someone who follows you on Snapchat, the best compliment they can give you is that you’re exactly the same online as you are offline. Because of the rapid convergence of online and offline lives, being a good person in real life will reflect through in who you are on social media. Also, collaborate with like-minded people – build relationships by providing value to those you hope to work with. Be sure not to make your ask right away. Who is your favorite person to follow on Snapchat? Oh boy — so many, and for so many different reasons. I’ve written several articles about many of the people I look up to on Snapchat, most recently this list of 17 On-The-Rise Snapchatters in 2017. I could sit here for two hours and give you 100+ names. There’s no shortage of wonderful people out there, if you know where to look. Well, at this very moment, I’m at a seedy hotel in Santa Rosa, New Mexico :D.
I hope to continue to travel all around the country this year and work with as many nonprofits as possible. There’s information on how to book me to come to your city, as well as tons of background info about my trips, etc., on my website, TeamStrub.com. 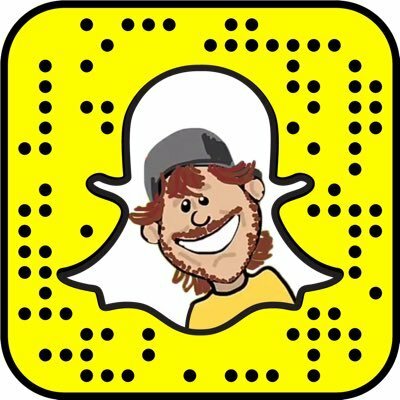 My Facebook page is a repository of Snapchat video content from all 50 U.S. states — Facebook.com/TeamStrub. I’m very active and responsive on Twitter – @ChrisStrub. And, of course, you can always send me a Snap – @ChrisStrub. Thank you for the opportunity to share my story here today. I hope my story is proof positive for anyone skeptical about the meaningful, real-life impact that social media-based relationships can have. I’m also Executive Producer of #chatsnap. The weekly Twitter chat about Snapchat, founded by my pal @KrisGillentine. For anyone considering getting into Snapchat, but still focused on Twitter, it’s the perfect way to meet a ton of Snappers at once. Hope to see you there each Wednesday at 2 p.m. Eastern! Thank you, Chris for taking the time to share your knowledge and opinions on using Snapchat for non profits. To connect with Chris on Snapchat, scan the snapcode at the top of this article. If you enjoyed this interview, please check out more in the Snapchat Influencer series.